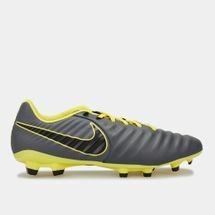 Created to deliver dominating touch, its premium leather upper and quilted foam cushioning favour an attacking style of play. Preferred by football elites like Jerome Boateng, Gerrard Pique and Raphael Varane, its unrivalled touch and locked-in feel is complemented by a versatile arrangement of bladed and conical studs that provide stability, traction and comfort, keeping you surefooted while letting you try out unpredictable moves. Tiempo boots like the Nike Tiempo Legend V and the Nike Tiempo Legend 6 build on this by enhancing ball control, first touch and feel. Own the game with speed and precision by checking out the latest range of Nike Tiempo Football Shoes online at Sun & Sand Sports and have your order delivered to your doorstep in Kuwait City and the rest of Kuwait. 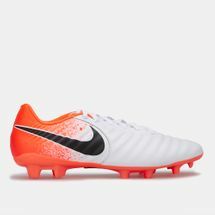 Known worldwide for the comfort they provide, the Nike Tiempo Football boots were launched in the year 1994, and is considered to be a favourite amongst aplenty of footballing superstars such as Ronaldinho, Sergio Ramos, and Carlos Puyol to name a few. There’s a justifiable and good reason why all these footballing legends endorse the Nike Tiempo shoes as these boots are not only amazingly comfortable but also feature some of the most industry-defining tech hidden underneath the surface. Best of all, you can have a Tiempo boot for any type of ground you want – from artificial and indoor grounds to firm and soft grounds, there’s a shoe for every kind of player. 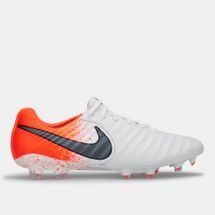 The Nike Tiempo shoes also have plenty of variations in their models, ranging from Nike Tiempo Legend shoes to Nike Tiempo Legacy shoes – each shoe differs from the rest with its technology, quality, durability, price and even design. Hence, no matter the pitch you play on, and no matter your preference in shoes, the Tiempos have got you covered. 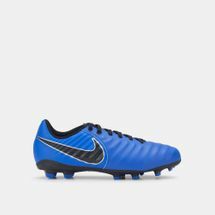 The elite versions of the Nike Tiempo shoes feature technologies such as use of carbon fibre for weight reduction, implementation of Kanga-Lite synthetic materials for resistance to water and providing your feet with supreme feel and a kangaroo leather ball touch. 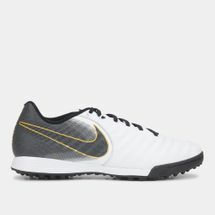 These elite Nike Tiempo shoes provide unparalleled comfort, feel and optimum stability as they feature flexible plates with conical and bladed studs along with much needed traction for you to weave through opposition without slipping or feeling any sort of uneasiness in your feet. Shop online now with Sun & Sand Sports and get yourself a pair of Nike Tiempo shoes. Have them delivered to your doorstep in Kuwait City or anywhere else in Kuwait.